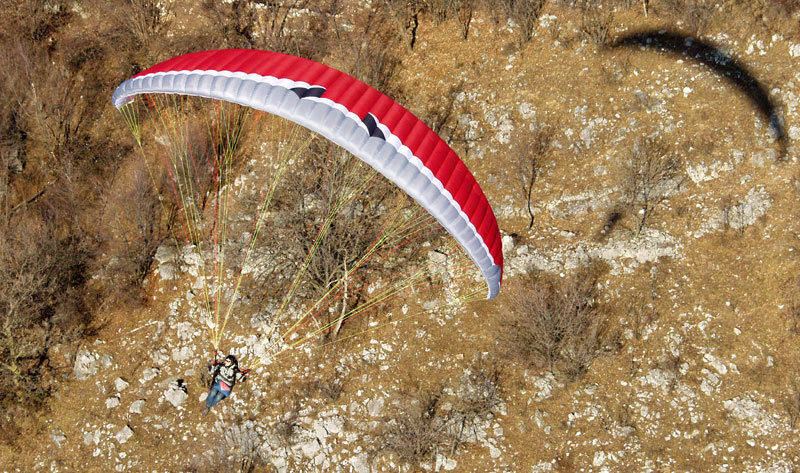 The Muse 2 has everything that you need to discover a fantastic dimension of flying. It was designed to be a super-safe glider with finely tuned handling for pilots who need DHV 1 safety and who want to enjoy relaxed flying. 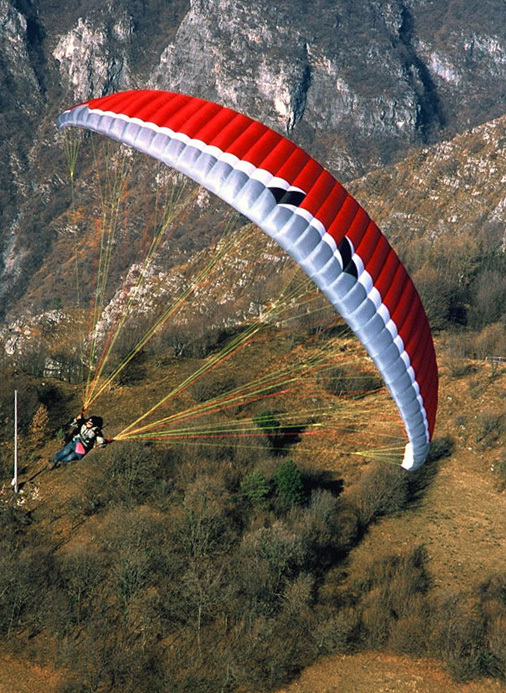 The Muse 2 is the ideal glider for beginners to the sport and maybe also those more experienced pilots looking for the easy life. The Muse 2 has 39 cells and a nice elliptically shaped canopy with an aspect ratio of 4.65. The classic construction with diagonal V-tapes and a system of load-bearing tapes gives canopy stability and helps to keep a clean profile. Line configuration remains the same as the Muse 1 with an additional E-line. 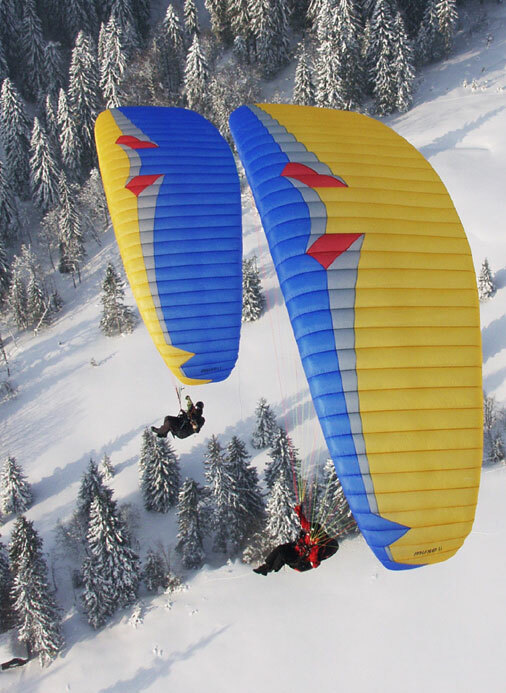 Intensive testing on different curvatures of canopy resulted in a well balanced glider with simple take-off characteristics and easy behaviour during extreme manoeuvres. The canopy is very resistant to collapse. 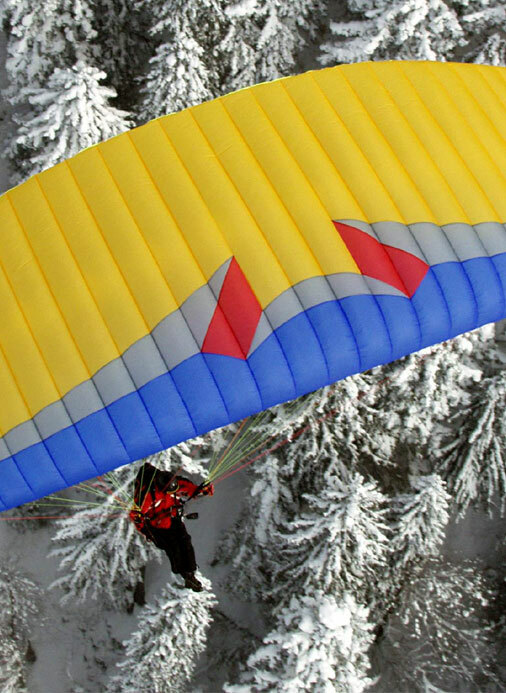 In an induced collapse the glider gives a rotation of 30 degrees. The opening is smooth and fast. The Muse 2 has lively handling but the canopy is well damped in all axes. The light brake pressure allows pleasant turns during long thermal flights, but increases progressively towards the end to offer a good safety margin. The Muse 2 comes with a 4 point riser system and is equipped with split A risers for easy big-ears. If you already feel that para-motoring is going to be a large part of your life, then you will enjoy assistance from easy launch behaviour, sporty handling and high performance.